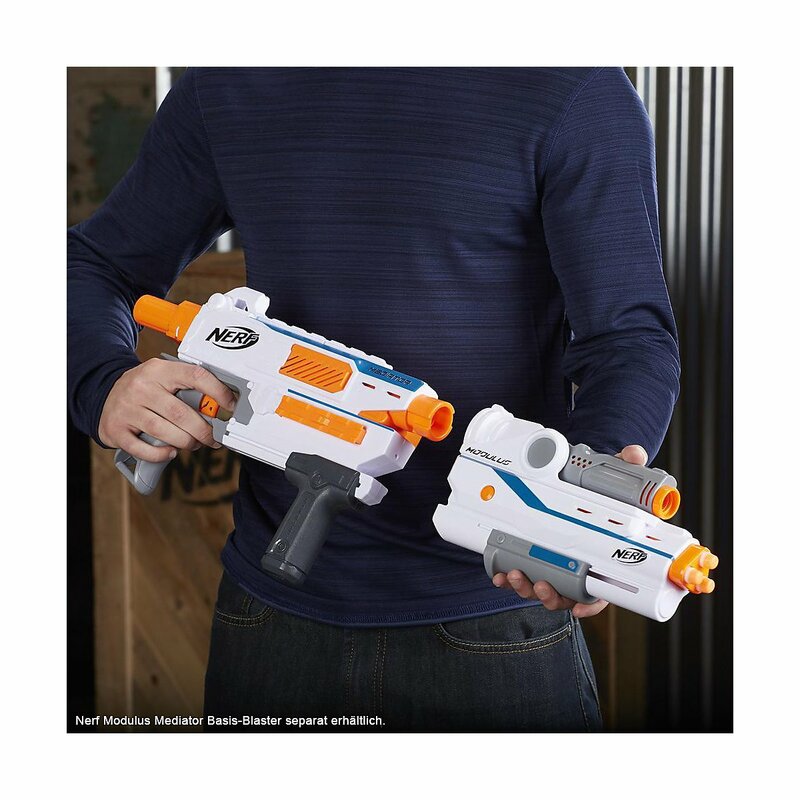 Barrel extension and dart blaster with triple shot at once! 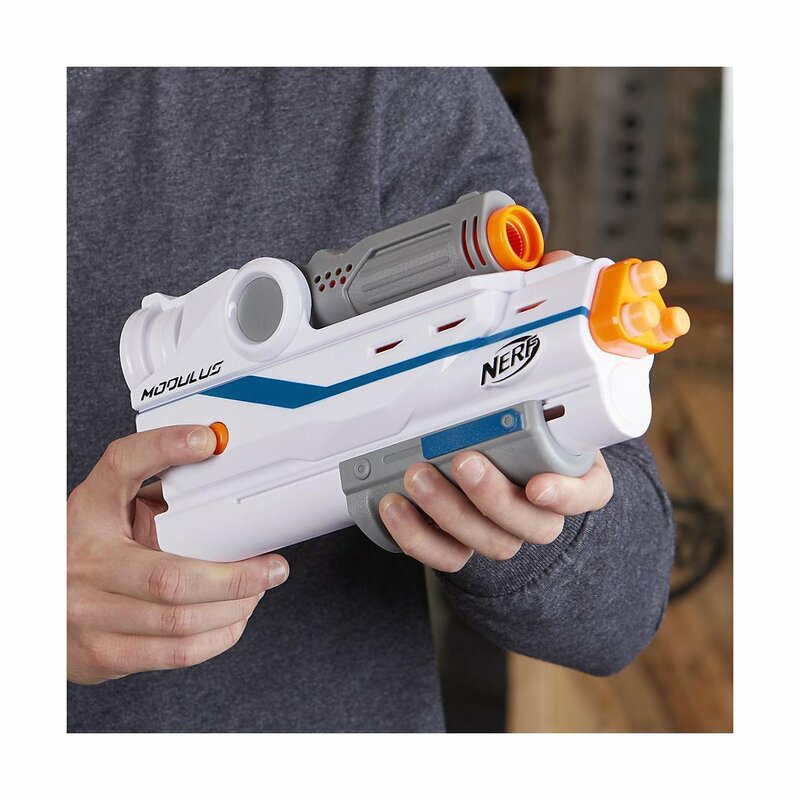 Nerf Modulus Mediator Barrel is very effectiv: The barrel converts to a blaster that features pressurized 3-dart blasting. 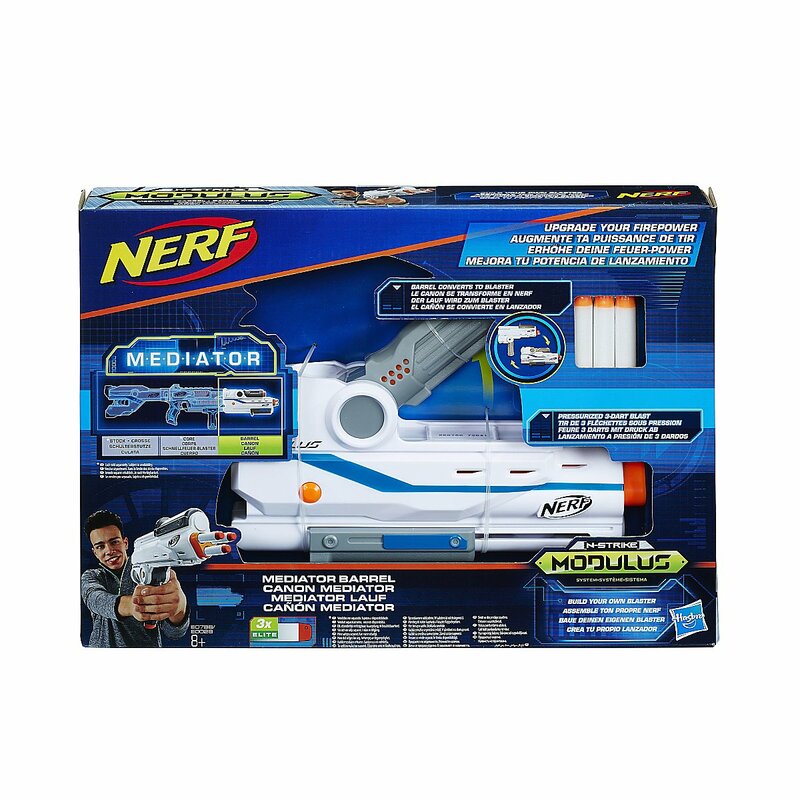 The barrel extension is attached to the mediator using the familiar rotation adapter. 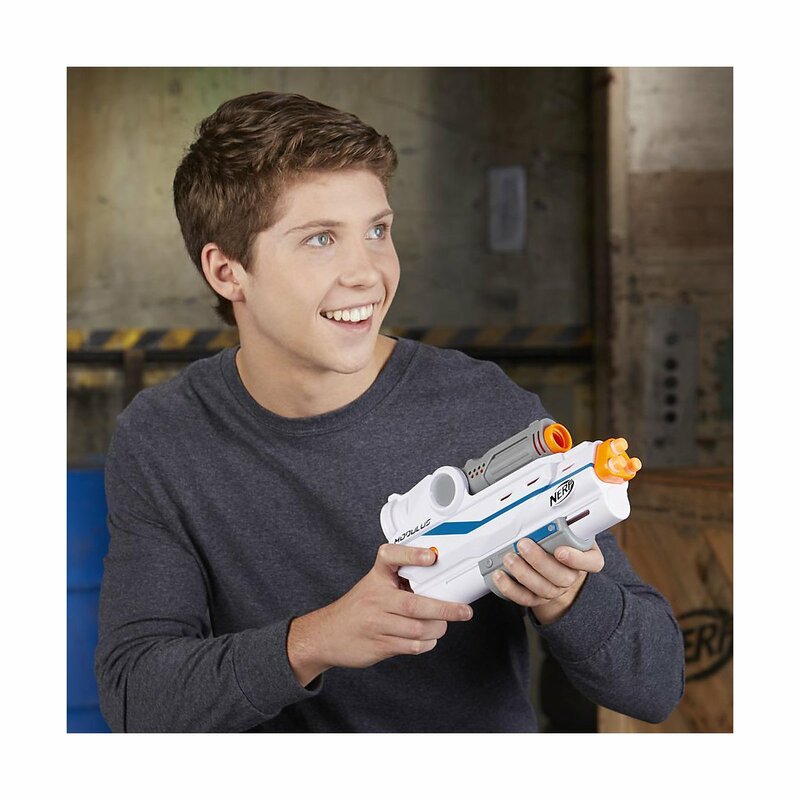 Just flip the handle to go from barrel to blaster, pump to prime the blaster and then press the button to blast a triple-dart burst. 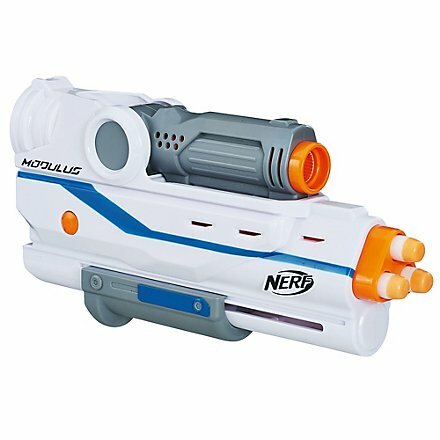 3 Modulus Elite darts included. 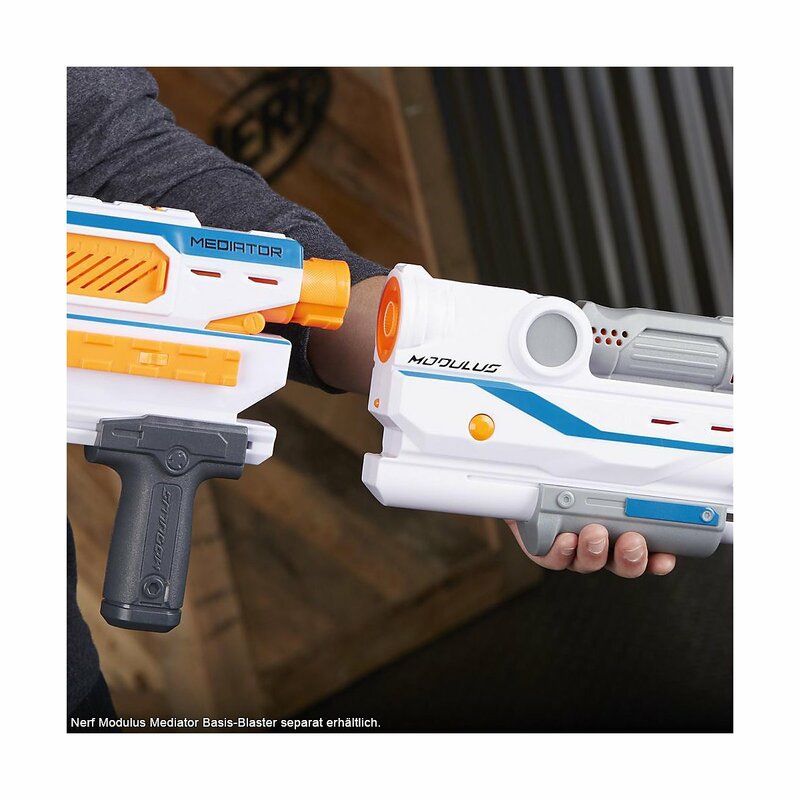 Barrel upgrade can be used for other blasters! 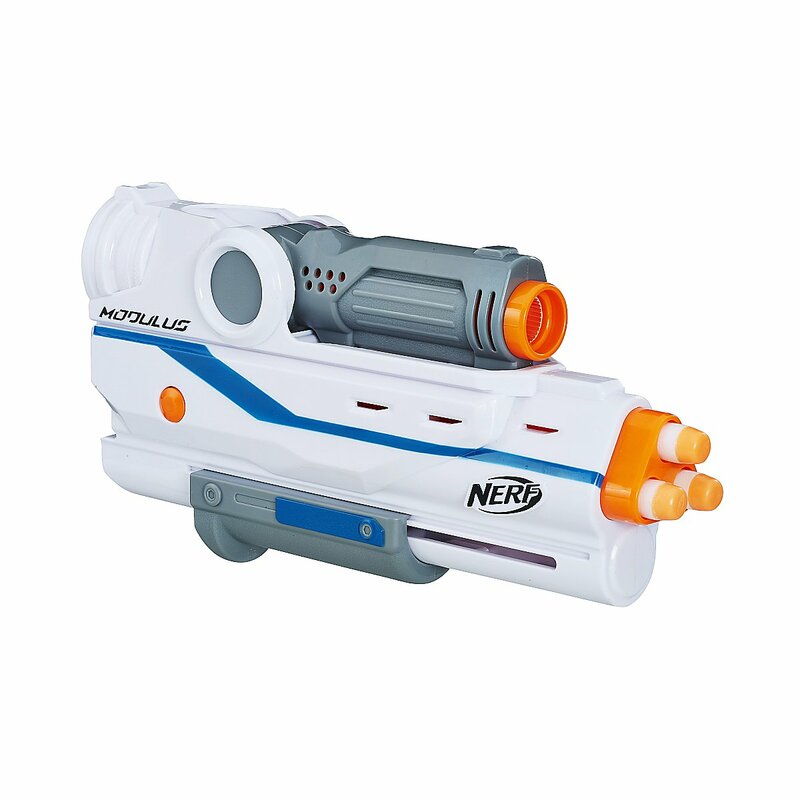 With the entire Modulus system, more than 1000 upgrade combinations are possible! 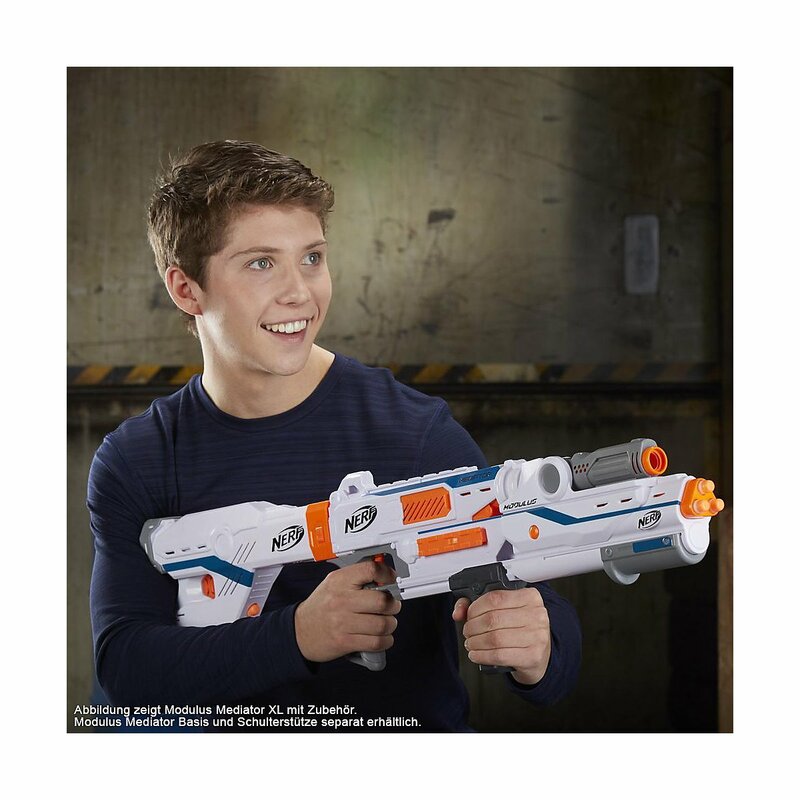 (Blasters, upgrade kits, and accessories are each sold separately). 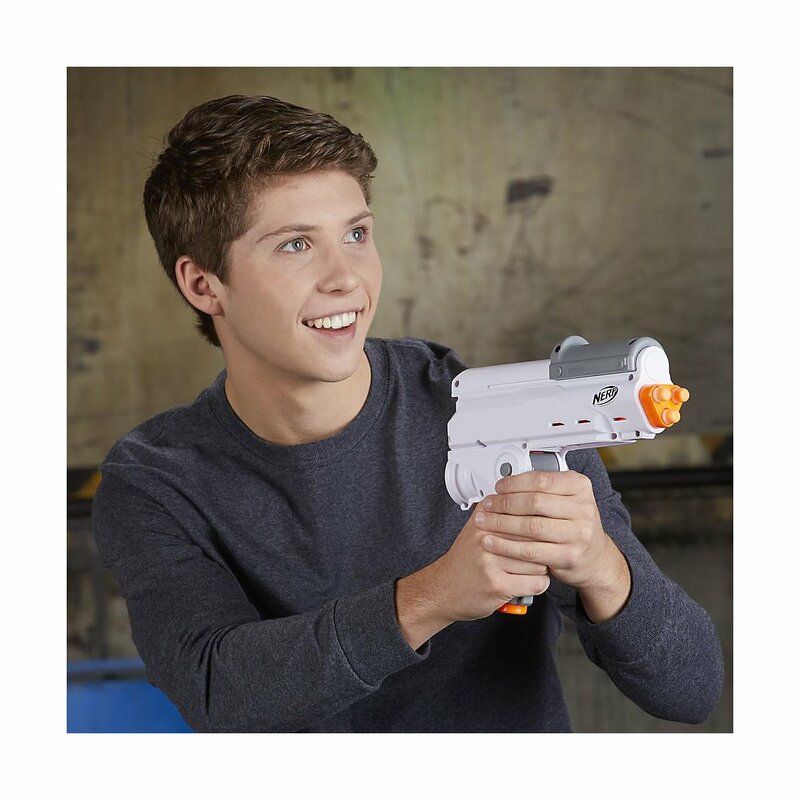 You have to be logged in to comment or review products! 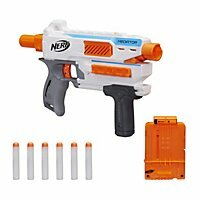 The Online-Shop for Blaster and Parts - all for your Hobby around Dartblaster, Tuning aund Modding.